Hi there, By mistake, I have reset my all exercises but I want to start where I have stopped. Is there any way to get my work back? 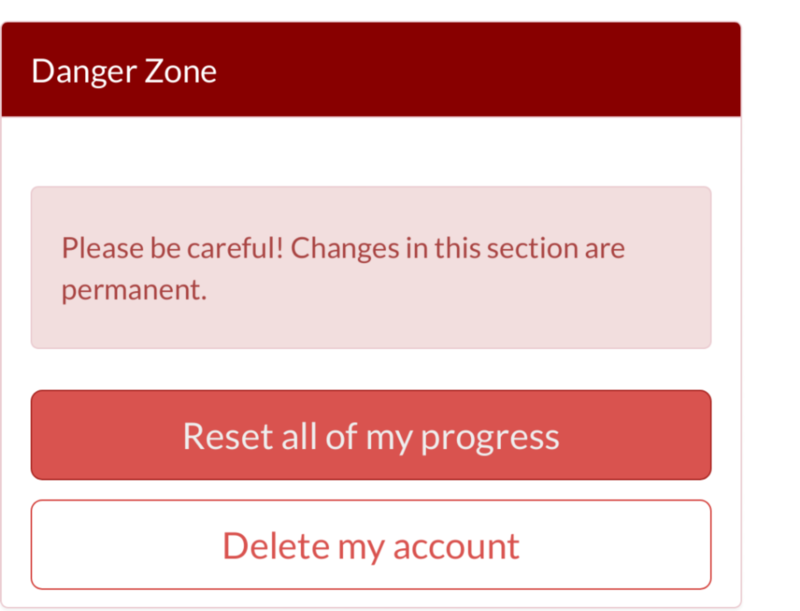 If you reset your account, the data is deleted. There’s no way to un-delete it. It mean I lost my all work? how can I get the certificate from Code camp ? It took too long to reach there. please tell me there is a way to solve this mistake. Go to “About” page of forum. Try to find some info, try to contact some moderators. On page, headline “When I delete my personal data from freeCodeCamp, is it really deleted from freeCodeCamp’s servers?” says: “Yes. 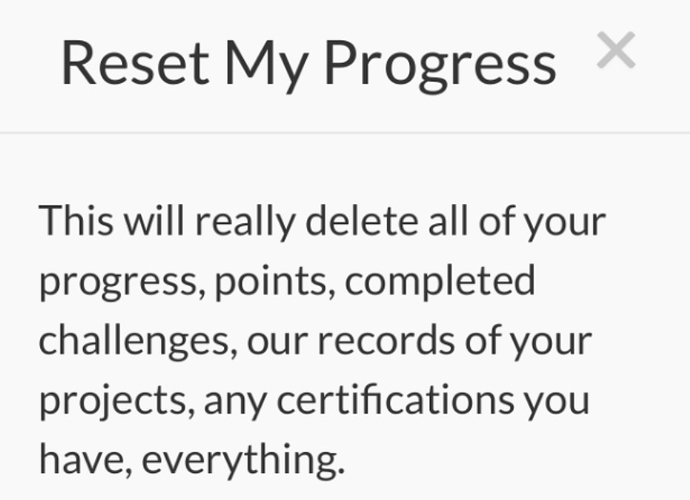 When you delete personal data from freeCodeCamp, we immediately delete it from our servers.We make emergency backups of our database every day, and we delete each of these backups after a few days. So within a few days, your personal data won’t even exist in our backups.”. So pray that they didn’t erased backups and/or want to do you a favor. you just need your projects to get the certificate. You don’t need the challenges. The answer has to be no: you have deliberately asked for FCC to delete your data. To prevent mistakes they ask twice, very clearly, whether this is what you want. There is no ambiguity, you expressly asked for this to be done, you went through two warnings which told you this was irrevocable.